Are you sharing meals with your family on a regular basis? You should! Studies now show that mealtime with family can benefit the health of your children and Altar Your Life®. Eating with your family is one of the most powerful human rituals we can practice. Research shows that children of families who eat together have less behavioral problems and do better in school. Studies also show that “35 percent less likely to engage in disordered eating, 24 percent more likely to eat healthier foods and 12 percent less likely to be overweight.” There is no substitute for the intimacy and communication that occurs when you break bread together. Children also learn your values, belief system. and share your passions. Eating dinner together is a great opportunity to teach your children good manners, eye contact and confidence with others. There is no better way to laugh, play and talk together than over a meal. 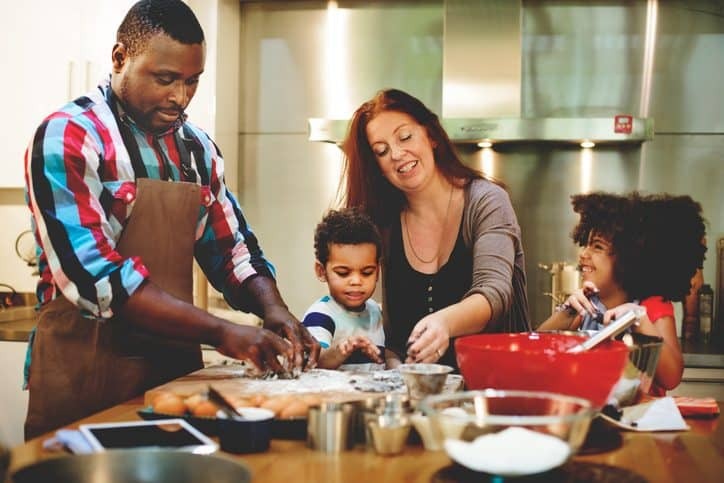 Are you ready to start planning Mindful family meals? Listed are some ideas to help you get started. Shutdown all gadgets. Before cooking and eating the meal make sure all distractions are turned off (smartphones, televisions, stereos, etc.). Instead, use the time to connect and talk to one another. Take turns making dinner. Assign the responsibility to a family member each day of the week. Pre-plan meals by going grocery shopping for ingredients during weekends. Think about preparing meals using recipes passed down from generation to generation. Experiment. Family meals are a great opportunity to try new meals. Consider using a fruit, vegetable, or meat ingredient that you have never used before. If it is an international dish or ingredient, consider teaching your children about the country and history of the particular item. Set the table and wash dishes as a family. Responsibility should be shared amongst all family members. The person cooking should receive help from beginning to end of the meal — from set up to clean up. Make this a ritual for your family. Encourage each child to talk about their day, their dreams and fears. Hold the judgment and listen. Provide each child the space to speak candidly and openly.